The 30-Sheet (12' x 25') poster has industry leading standards and provides versatility through options. Highlight the message by posting inside the 11" trim package, or increase your posting area to 300 sq feet by wrapping the entire face. The H-Series system can be easily assembled on the ground, minimizing assembly time. Installations are made more efficient through the use of eight 18" wide galvanized/bonderized steel sections, roll-formed to provide flanges that interlock the sections to result in a truly smooth posting surface. Attaching the sections to the back supports is made easier through the unique "True Z" shape of the sprit on which these panels rest. For additional weather protection, materials are galvanized for years of service. Even the hardware is zinc plated for durability and performance. The H-Series poster system is the quick and affordable solution to your assembly and installation needs. The H-Series is a STRONG Panel, backed by STRONG Solutions. Designed for maximum strength and minimum assembly. Looking for information on an easy Turn Key solution on this product? Check out our Turn Key Solutions page and we can get you started in the right direction! Want more information on financing options available? We work with the best! Need accessories? We can help with that too! Whether it's lighting, vinyl, or safety equipment, we recommend the best to make sure you get the best. Unbeatable technical knowledge to answer any questions you may have. Our years of industry experience are at your service! A variety of freight options are available to fit your needs. From LTL to Jobsite deliveries, we can do it all! 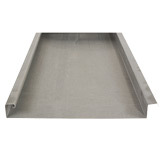 Galvanized/Bonderized Sections rollformed to specific tolerences. 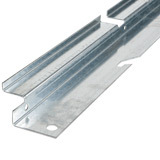 Flanges provide easy to install interlocking panels for a solid face with a smooth posting surface. 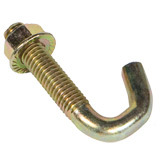 3/8" anchor bolts and nuts keep each section firmly attached to back supports preventing any lateral section movement. 12 Gauge vertical back supports feature a "Z" shape for easy tool access while resisting windload evenly across whole face surface. Mount face on a wide variety of stringer configuartions. 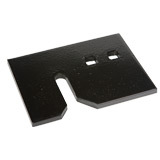 Thick steel plates provide ample staying power for back supports.